First Take: Guasaca in Raleigh for Delicious, Corny Sammiches! Now when you say arepa to most people, I’m guessing they may be scratching their heads. Tacos everyone gets, empanadas most people know about. But arepas? Like a lot of other Latin American food items, there are different versions of an arepa around the world but in its most basic form, we’re talking about a stuffed sandwich made from corn dough. 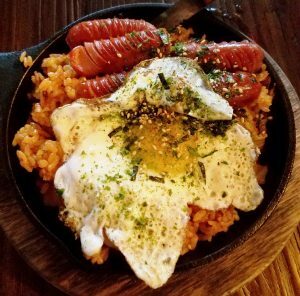 Guasaca, a new eatery in Raleigh off Lake Boone Trail specializes in this little delicacy and from what I’ve heard, the owners origins are from Colombia and Venezuela. Guasaca is a bit unassuming on the outside, small discrete store-front but it opens up to a long, modern interior mostly in white with some lime-green accents. They’ve got a menu posted which was to me a bit confusing. Seven types of arepas, you get a dollar discount when you get two (same type) or customize your arepa with one meat, three sides and one sauce. You can do salads or bowls (rice-based) with meat, sauce and sides (plantains, cole slaw, beans, onion, cheese, etc). Then there are six sauces that remind me of aji sauce from Peruvian fare, the namesake quasaca sauce is a dollar extra. THEN you can get chips and salsa on the side. So after you figure out your order, head on over to the counter where you can watch them put together your little Venezuelan sammiches! The counter lady grabs a nicely browned and pan-fried, flat corn muffin, slices a pocket on one side and stuffs it with your meats and sides. I went with the tilapia-plantains arepa and a pork-black eyed peas-pico de gallo combo. About $8 for the two arepas, then add a drink for $1.50 so we’re talking $10-plus for lunch. Grab your little basket, fill your drink and then grab a bunch of napkins and fork cause you’re gonna need them! The arepas come in wax-paper pouches for easier eating but I take mine out and eat them bare which may not be a good idea. The tilapia arepa was solid, a sandwich of textures. Crunchy arepa outside, slightly mealy corn bread with warm, sweet and savory tastes inside. Good but a bit of a mix of flavors. I liked the pork arepa a bit better with the pico de gallo for some contrast. Overall I do like arepas but found the stuffing to be a mix of flavors with not much standing distinctly out. You get a lot of carbs with the corn arepa outside and then another blast of carbs from the beans or plantains. I ate messy and needed the fork to pick out all the spilled stuffing but it was a LOT of food for one person. Guasaca was pretty well-packed during my late lunch visit which is great news for the owners. And yes, it was also pretty loud which isn’t so good for diners. But I like Guasaca overall. I think it puts out a relatively authentic sandwich-arepa which is a nice change of pace from a foot-long. Although I admit to preferring the lower carb version of a taco which allows the fillings to shine. 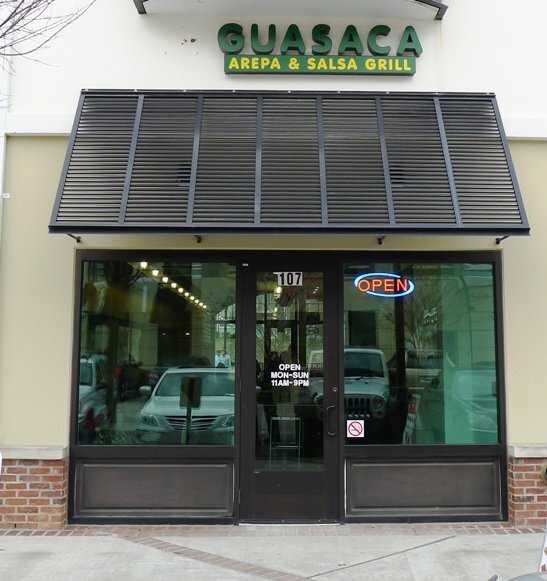 In the end, you should definitely give Guasaca a try if you’re on Lake Boone Trail near Rex Hospital. Take your time at the menu to figure you what you want and you’ll have a great meal! 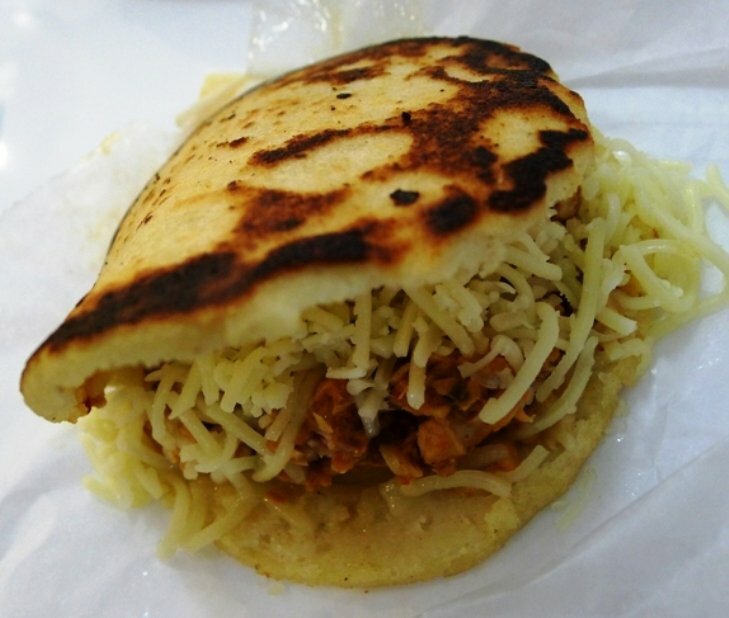 Traditionally, arepas in Venezuela are stuffed with only one or two fillings. Black beans or plantains are usually eaten as a side dish, not inside the arepa. If the “pre-designed” stuffed arepas are too savory for your taste, I would recommend you go traditional, just picking one filling to go inside your arepa and ask them to give you the other fillings on the side. Also, arepas have a much lower carb content compared to bread made out of wheat flour. Carbs in an arepa are not going to destroy a diet for those watching their weight. I love my arepas! 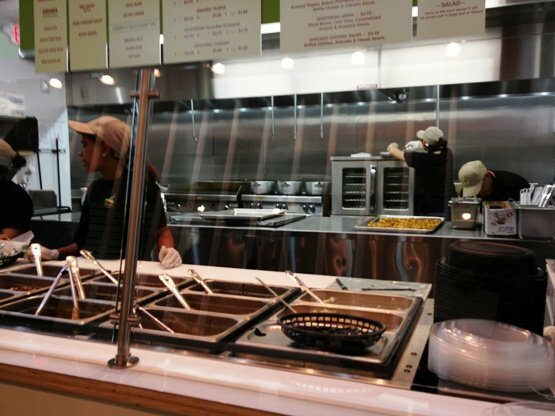 And I love Guasaca too, I think it is a great place with excellent, affordable, healthy, fast food. I’ll give em another try and go with a simpler combo. I thought the ingredients were decent but had a hard time picking flavors out, sometimes simpler is better. U r welcome! Try a different single ingredient each time, I’m sure you’ll find your perfect match… One of the most popular one in Venezuela is “Carne Mechada” and many combine it with shredded cheese. Another try for me would be a single filling of their tilapia with the cilantro sause on the side and add it little by little at a time… Would do something similar with their beef filling and guasaca on the side, those two ingredients go great together! Thanks Ceci and good to know that messy is the norm! Wasn’t sure if I was eating it properly, I had arepa filling all over the plate. Appreciate the arepa coaching!